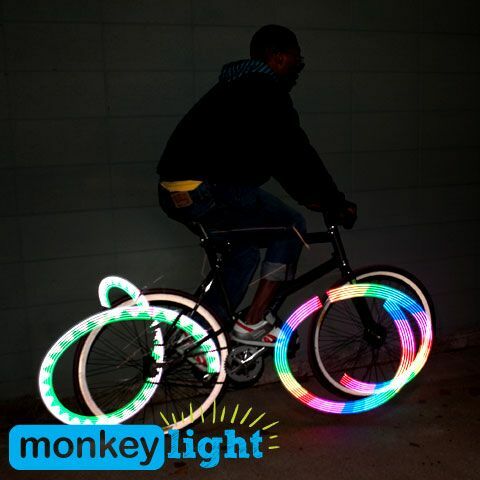 The M210R Monkey Light displays brilliant patterns on your spinning bike wheel. Up to 80 lumens of light and convenient USB recharging. It's waterproof and dustproof, so you can use your light in all types of riding conditions. The M210R straps to your spokes and displays brilliant patterns on your bike wheel. Show your style with cutting-edge themes designed by our electronic artists. 19 different themes are all included and built-into your light: skulls, hearts, rainbows, chevrons, and many more. Select any or all of our full color options with the press of a button. Monkey Lights provide critical side visibility to help keep you visible. The M210R can create a light show on most bicycle wheels 20" and larger. 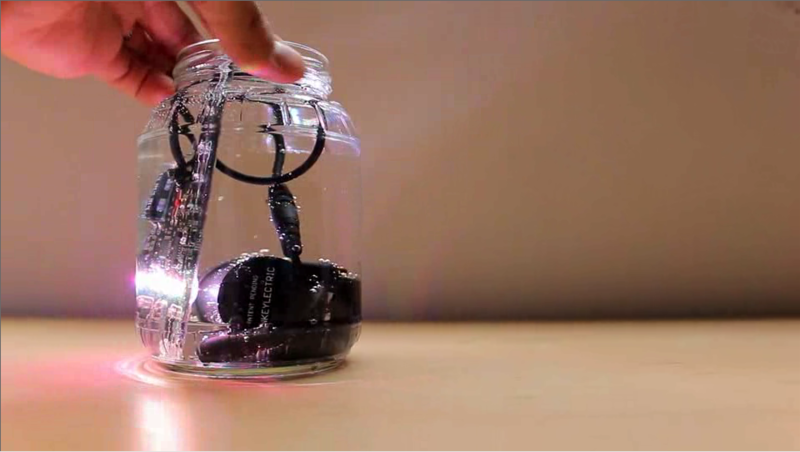 Monkey Lights come with a 2-year limited warranty. They're designed and tested to withstand the extremes of daily riding. 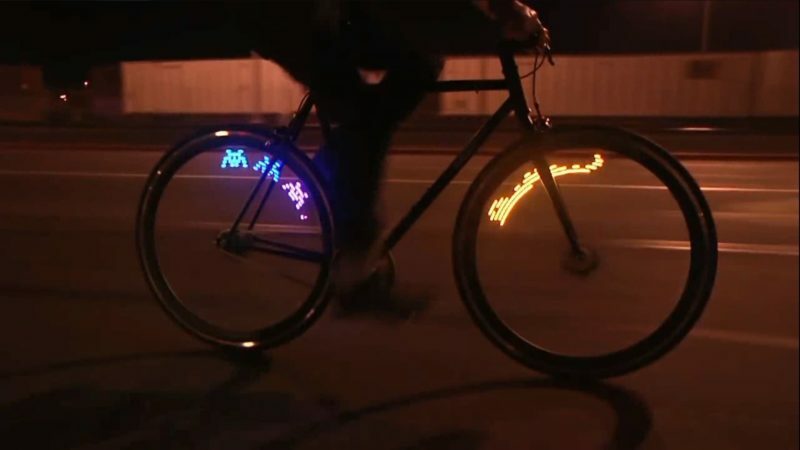 They're waterproof and vibration-proof and can keep your wheels lit year-round.